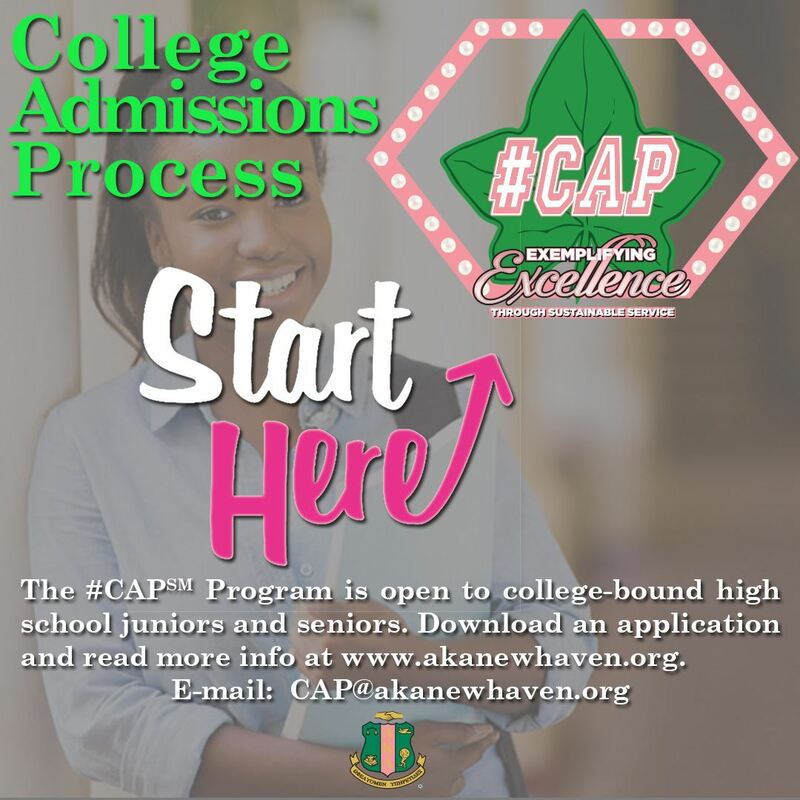 The College Admissions Process (#CAPSM) Program is Alpha Kappa Alpha Sorority's signature program. It is designed to increase college access and readiness among students, Grades 11 and 12, through interactive workshops and mentoring. Theta Epsilon Omega Chapter will assist students in completing college admission applications, preparing for the SAT and ACT exams, writing compelling personal statements, and identifying scholarships and financial aid opportunities. Workshops are held from 10:00 a.m. to 12:00 p.m. on the fourth Saturday of each month from January 26, 2019 through June 22, 2019. The meeting location is Wexler-Grant Community School, 55 Foote Street, New Haven, CT. Please note that the location and dates are subject to change due to holidays and/or building closures. Complete the #CAPSM Program Application Packet and return to CAP@akanewhaven.org.